That's it!!! Any suggestions or stories of what people did for their 30th would be helpful too, or if you're not 30 yet, how you are planning to spend yours. 5 I'm off to Dublin!! To celebrate spending ten years of my life with my lovely Mister! Eek! 6 A bestie weekend in London with my VBF to see the Alexander McQueen exhibition and lots of other little things such as a fashionista afternoon tea and a trip up the Shard! 8 A possible holiday to the South of France...fingers crossed!! 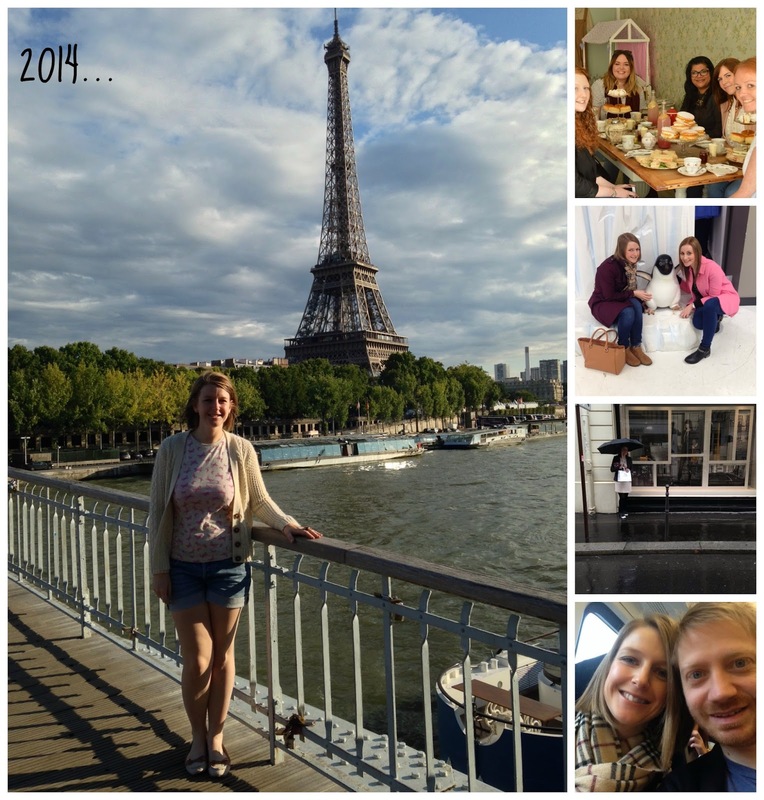 On reflection 2014 was pretty amazing. My highlights were meeting some lovely people through my blog that have become great friends, visiting Paris, having lots of adventures with my best friend, having one of my choirs work with Gary Barlow, going to the original Chanel shop, gigging again...so many great memories made and too many exciting things to count! I hope 2015 is just as fun!! 1 When are you getting married? Answer: when we're ready. I'm in no hurry to tie the knot thanks. I'm blessed and lucky to have a wonderful boyfriend and to have spent 10 years with someone who I can honestly say is my best friend. I know we will get married, and I don't mean to sound rude but it's no-one's business but mine and his. Anyone who's reached this age will know what I'm talking about. Everyone that has kids, really I salute and applaud you. I'm not a baby hater; in fact I love kids, I just haven't decided yet whether being a mother is really for me. And I'm certainly not ready yet; I barely feel like a grown up myself and I'm useless without at least seven hours sleep. So please don't judge me because I don't have any; it's hurtful and I'm not a horrible person because I'm still deciding. So there you have it my 2015. What are your plans? What should I do for my 30th? And what should I add to that list??!! I wish I'd thought to do a 30 before 30 list but a bit late now! I do have a bucket list somewhere but I can't remember where it is -it probably involves buying a house and a car and getting some dogs! Love your little bucket list. Can't believe you haven't been ice skating though... you'll love it! :) I'm running a 10k this year too, for Cancer Research Race4Life. It'll be my first too! I did the 5k last year. Cake and running sounds like our perfect year hun haha! I totally agree, being down about being 30 is all in the mind I say bring it on! Yeah I'm def going to tick ice skating off the list! Good luck with the 10k!